Lembeh Strait near Manado in Indonesia is known for its excellent muck diving opportunities. 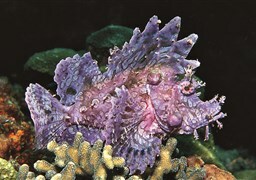 The abundance of tropical reef- life like snake eels, devil fish, Ambon scorpionfish, and weedy scorpionfish makes it ideal for serious underwater photography. 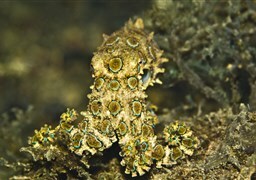 It is the dive site where elusive marine animals like cuttlefish, skeleton, and harlequin shrimps, mimic octopus, and numerous nudibranchs can be seen and photographed. 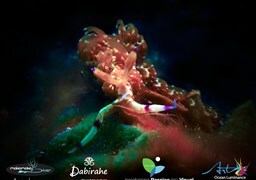 Diving newbies be warned: you can find the Lembeh Strait a little boring. If you are on your first dive, then this unique underwater geography will not be an ideal destination. Other destinations having Coral walls and gardens will be more suitable. Muck diving is better enjoyed by experienced divers. If you are an underwater veteran and bored of the standard coral reefs, then Lembeh Strait is the place to discover rare underwater creatures. 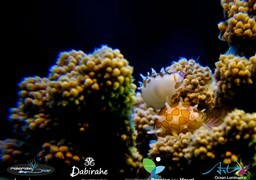 In fact, for underwater photographers, the place is a dream come true. 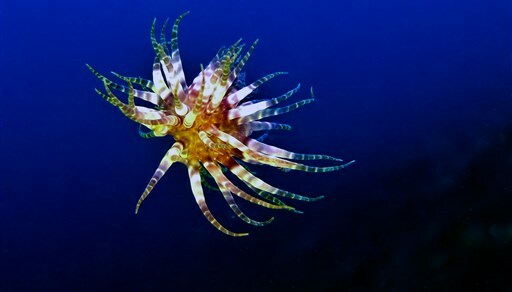 The place has wonderful biodiversity. The Lembeh Strait topside panorama is a visual delight, with dense tropical greenery covering the steep rocky slopes. The underwater trench is deep and has cold water upwellings every day. The silt saturated sea bottom is the habitat of a wide variety of endemic species. 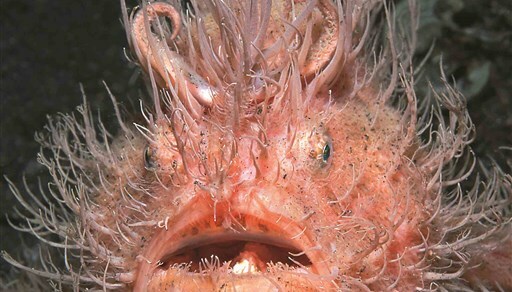 Even the common species in this ecosystem are different from their counterparts in other underwater geographies. 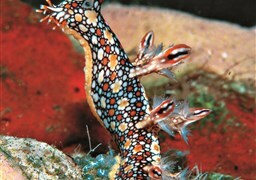 They display unique and dazzling color phases. It is believed that the dark volcanic sand contributes to this factor. Biologists are still exploring the region for more wonders. 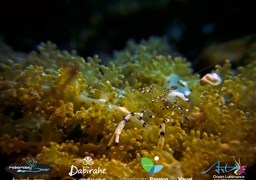 A typical dive site in Lembeh Strait is predominantly sand, interspersed with scattered anemones, sponges or reef. 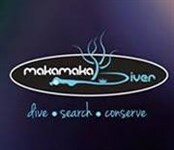 You will dive in a group to approximately 80 feet under the water. This depth is the ideal place to search for subjects to be photographed and you can proceed to shallower waters from this range. You will find life to be concentrated in small patches. 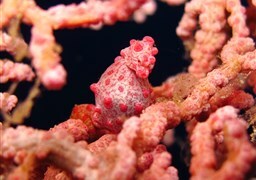 These areas will be populated by a diverse range of marine life like seahorses, small frogfish, harlequin shrimp, pipefish, and nudibranchs. 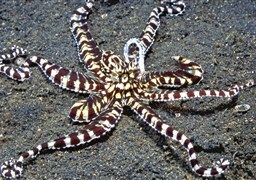 The local dive guide will ask you to keep a keen eye for octopus and snake eels in the sandy areas. The wide area means that you and your dive companions will be spread out. 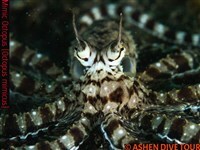 You can photograph your subject in peace while your dive guide locates the next subject. 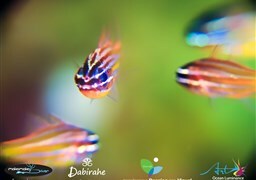 Juvenile fish are more seen in the shallow areas. 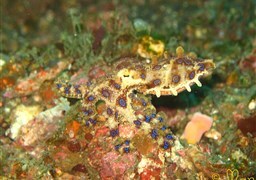 The Lembeh Strait has seen a number of notable sightings, like three different kinds of squids and different kinds of pipefish and seahorses. 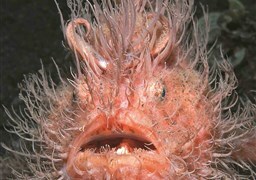 You will also observe tiger, anemone, and crinoid shrimps. 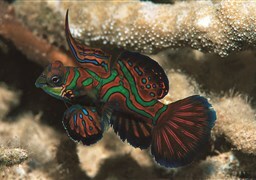 Bengal Cardinalfish, snake, ribbon and garden eels, blue-fin trevally, demon stingers, lionfish, and pufferfish are also found. Diving is possible all through the year, Conditions, however, do vary. Water temperature hits a peak during the October to March months. Divers can expect to swim in 29 degree centigrade sea water. The months from July to August sees the lowest temperature- hovering between 25 and 26 degrees centigrade. If you love to observe the local species, do remember that sightings are dependent on reproductive cycles and not on the creatures' seasonal movement. 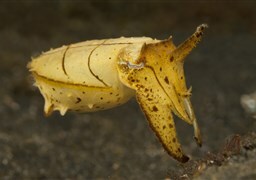 The inhabitants of the Lembeh Strait are endemic and do not venture far. If visibility is your primary criteria, then the three months of October, November and December are best for you. Visibility is at its lowest during January and February. The latter is also the time when the ambient temperature of the water is maximum. The rough seas during this rainy season may also make some parts of the sea unsafe- and, therefore, inaccessible to divers. The sea can also become hostile in September. It is the time of start of the southeast winds heralding the monsoon. The sea surface remains choppy until September. 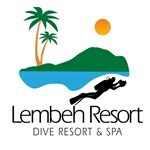 HOW TO REACH LEMBEH STRAIT? The closest airport to this diving destination is the Manado Sam Ratualungi International. This airport is connected excellently to other domestic destinations, like Bali, Jakarta, Ambon, and other major cities. Manado is connected to a number of international destinations like Singapore. 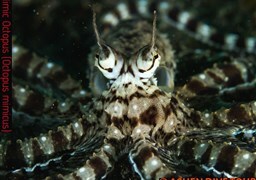 You will be taken to Lembeh after your arrival in Manado. The distance from the airport is approximately 45 kilometers. It takes one hour to reach your hotel from the airport. If you elect to stay on the island, then you will have to take a further 10 minute ride.